What better way to get into the festive spirit then singing a Victorian Christmas carol. During this era, they were very into joyful choruses of Christmas songs and had revived old medieval songs whilst adding their own spin and writing new ones! These were meant for both the relaxed occasions such as when singing amongst friends and family and the other songs were meant for more religious, respectful occasions. People who played instruments used to gather old nativity songs then turn them into new and mix them up a bit such as: A Good Christmas Box, Christmas Carols Ancient and Modern and O Holy Night. 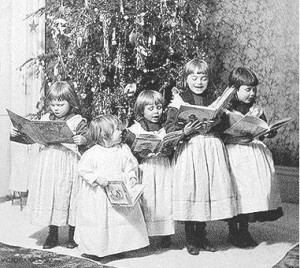 In a typical Victorian home, it was usually common to have a piano or an organ in one of the rooms which on Christmas day after Christmas dinner was served and presents were opened, everyone who was in the house used to gather around the piano as someone played and sing Christmas carols. Silent night was a well-known favourite that used to be sung within the Victorian era. Where caroling actually originated from was from the ancient English custom of travelling house to house as they sang to get the return of food. This was through the Victorian era when this tradition become popular and the main countries caroling thrived in were America and England. 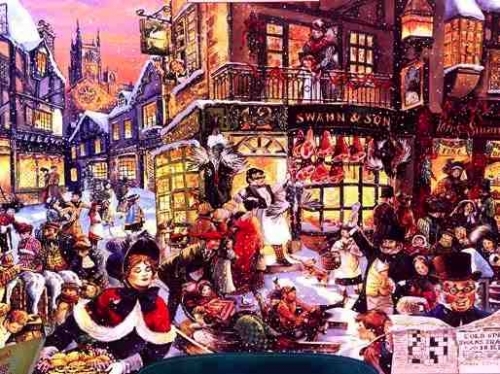 When Victorians did think up new carols from old ones or thought up a brand new song all about the festive season of Christmas, the carols usually incorporated a religious and were quite often sang in Church as the religious references were quite significant. During this melodic worship and celebration, there was a number of different instruments that were incorporated into the mix such as that pipes, drums, bells and voices! So now when you wonder where Christmas carolling originated from or when it became popular you can now say at the Victorian era. Just another few of the songs that were recreated or modified during the Victorian time period are: Away in a Manger, We Three Kings and jingle Bells. These really bring back the memories and are still popular during our day! We really owe a lot to the Victorians for creating such great carols that have been playing for decades and contributing to the Christmas celebrations in today’s modern society. So why not discover more and do some digging on a few of the traditional Victorian carols so you can get in the Victorian festive spirit nice and early for this year’s seasonal greetings!